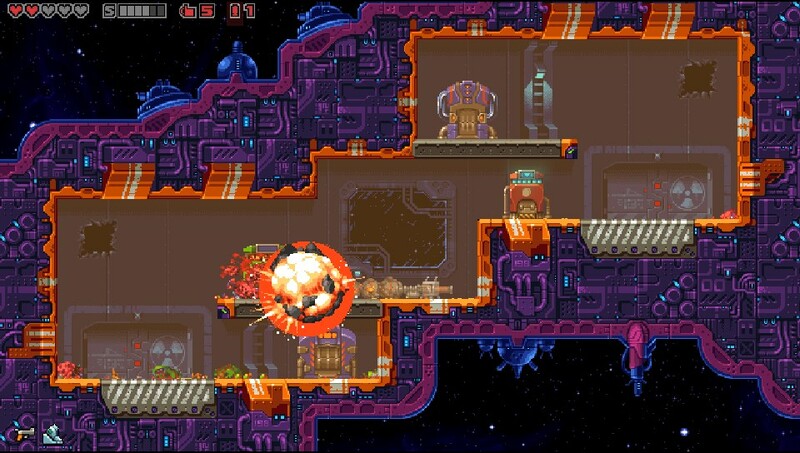 Super Mutant Alien Assault is a 2D platform shooter from one man dev team Cybernate and is a welcome late addition to the Vita’s roster of shoot ’em ups despite being released on PS4 back in 2016. Fans of the game’s previous outing will be disappointed to learn that this game doesn’t support cross-buy though. The basic premise of the game is simple. Humanity is under attack and on the run. Having abandoned Earth, we are now on the run from an alien menace and the fate of the surviving humans is now in the mechanical hands of a small, but well-armed, robot who has to clear screen after screen of aliens across twelve levels. 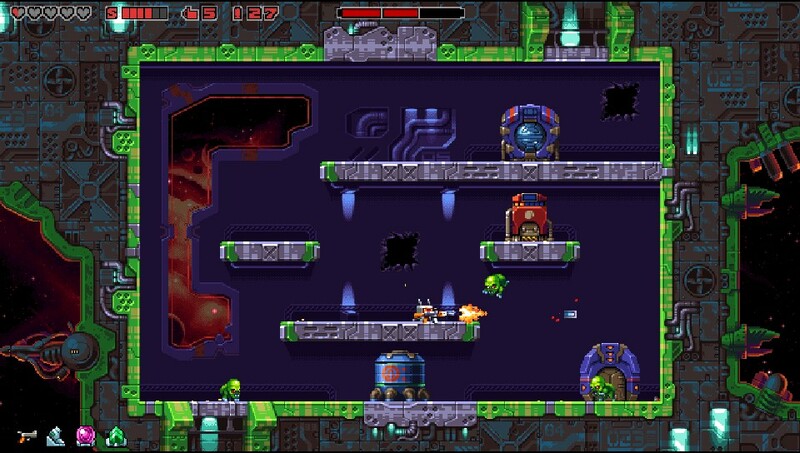 The game combines the frantic one-screen run and gun action of Gunslugs with rogue-like elements to create a frantic and challenging experience but at first things appear quite simple. You can move left and right and jump between platforms. A weapon dispenser gives you random weapons such as slow but powerful sniper rifles to fast firing machine guns as well as more experimental equipment that is revealed over time. 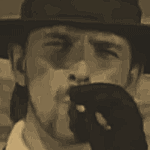 You also have access to explosives, defensive moves and technical weapons. All in all you’re one well-kitted out robot and you’ll need to be because the challenge that faces you is pretty intense. 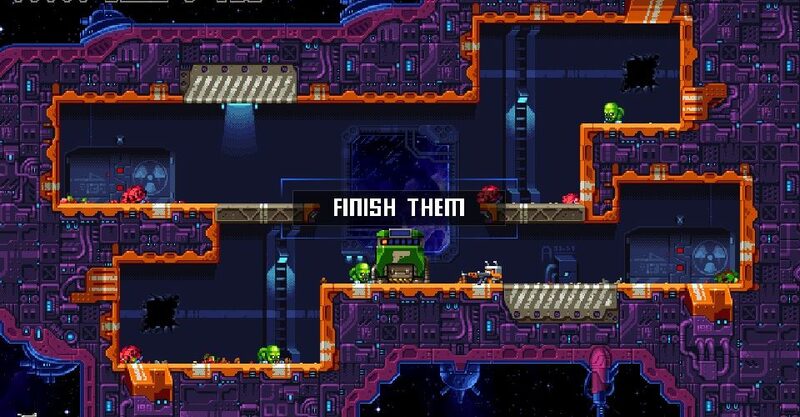 For the most part you’re just running and gunning but enemies can warp in anywhere and you’ll soon find yourself overwhelmed if you’re not careful. Also, your robot is pretty short and the aliens seem to have an uncanny ability to fly a little higher than you basic attack is aimed so you’ll need to jump and try to time your shots in order to hit them and before long you’ll start taking damage. To keep things interesting, there are different types of levels. In some you need to stop valves from reaching full pressure and exploding whereas other levels require you to deliver fuel cannisters and gas balls to other parts of the screen, putting you in danger and ensuring that you can just camp in the safest corner. Not that any corners here are particularly safe. Especially when you activate a boss every four stages. These tend to be very good at hunting you down whilst also absorbing a lot of damage. I personally found Super Mutant Alien Assault to be a very tricky game and often you need the right weapons to arrive at the right time in order to make any progress. God help you if one of the dangerous and impractical explosive weapons ends up in your hands or worse the exploding pogo stick. You’ll earn new tech along the way and these then get added to the weapon dispenser’s own random rotation in typical rogue-like style but beyond that there are no permanent upgrades. On the Vita the game works well as a pick up and play kind of affair. The game’s pretty short and significantly difficult so you’ll be having relatively quick attempts on the game. With no permanent upgrades, you’ll mainly be playing for trophies with this one. There’s no platinum on offer but don’t worry because you weren’t going to be earning that any time soon. That’s not to say the game is impossibly difficult or some sort of Dark Souls of indie games but death comes so easily with this game that we can’t see many people 100%ing this. For the most part the controls hold up. The game’s frantic pace isn’t a great match for the Vita’s little analogue sticks but you won’t be able to blame the controls for your failings and to its credit the game is pretty fair. A lot of your damage will come from accidentally blowing yourself up and that’s because a) it’s pretty easy to do and b) it’s not very natural for your own weapons to hurt you in a shoot ’em up. In terms of presentation, the game’s 16-bit style graphics do a job. There’s nothing impressive going on here and even the game’s bosses are pretty weedy looking affairs. We’re used to seeing this kind of look used for this kind of game now and to us it’s beginning to feel like a cop out but at least the game’s action isn’t obscured by unnecessary detail. Overall it’s a pretty neutral kind of look. It doesn’t do anything badly but it doesn’t impress either. That pretty much sums up the whole game. It’s playable but not compulsive, it’s fun but not exciting. 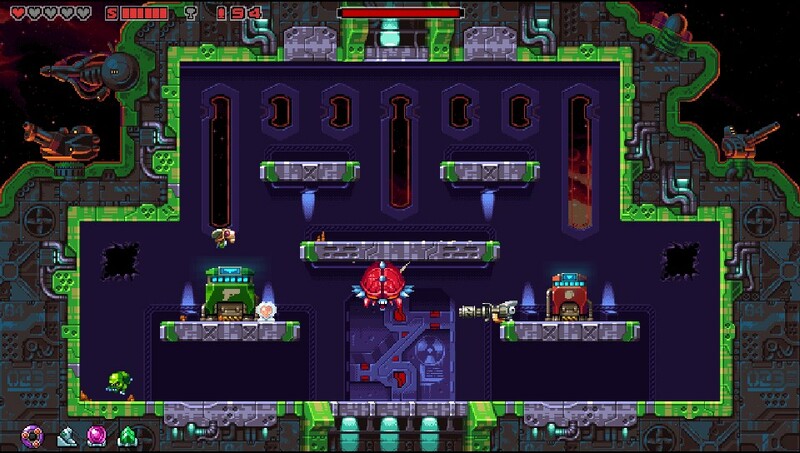 A two year old port for the Vita was never going to amaze anyone but fans of tricky but simplistic shooting fun are well-catered for here and there’s enough challenge on offer to appeal to real shoot ’em up aficionados. 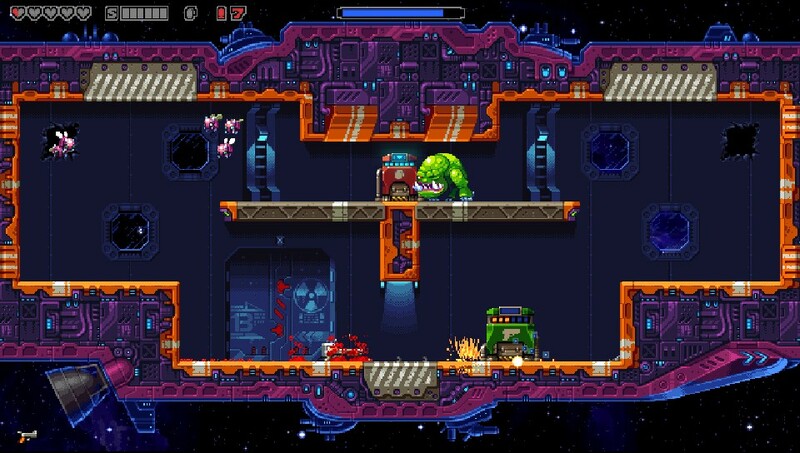 Super Mutant Alien Assault is a short-lived arcade shooter that offers up some interesting weaponry and a big challenge but not a whole lot else.